Spruce Peak at Stowe in scenic Vermont is a year-round, vacation destination. It’s a special place that can be enjoyed by family, friends and your loved ones. Summer travel can mean large crowds, but not in quaint Vermont. The area provides visitors a luxury destination like the Hamptons and Nantucket. But here, it’s the Vermont charm that is so appealing. Spruce Peak is an unexpected, warm-weather second home hotspot. It clearly rivals top, second home destinations such as Vail and Aspen in Colorado. As a result, you will find a collection of divine properties that boast a heightened level of comfort and an elegant design pallet inspired by local mountain views. Imagine a weekend getaway where you are whisked away on a private Tradewind charter to enjoy thrilling outdoor activities. An affluent community of residents get tired of the typical summer scene. But now, residents have exclusive access to two fantastic golf-courses in Stowe as well! – Stowe Country Club: The recently renovated Stowe Country Club course occupies what was once a turn-of-the-century dairy farm and has evolved into a splendid course with a 360-degree views of the mountains. – Stowe Mountain Club: Meandering along the slopes of Mount Mansfield and Spruce Peak, the private Stowe Mountain Club reaches an elevation of more than 1,800 feet, offering incredible views and a dynamic play at every hole. The Spruce Peak property offers various membership opportunities. Once approved, members can enjoy a wide range of events throughout the year. The whole family can take part in golf tournaments, ski races, golf equipment rental, 21,000 square foot spa, farm to table private dining, plus slopeside valet parking. 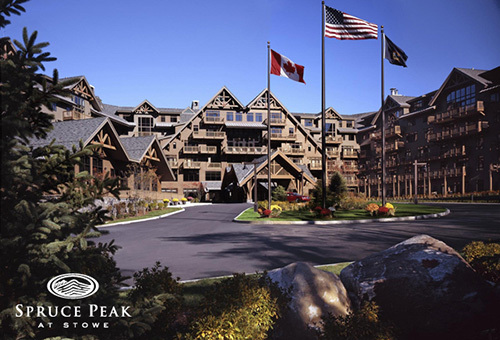 If interested to learn more about Spruce Peak at Stowe, please contact us today. We offer a variety of luxury travel and concierge services. Stop by again and follow this luxury blog.